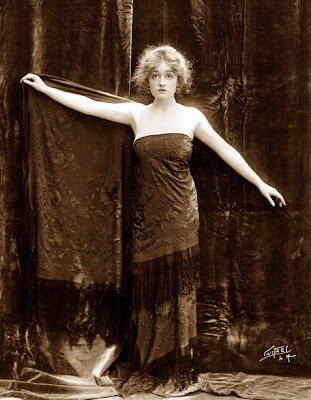 I guess we will stick with the theme of "tragic" girls of the silent screen and see about Gladys Brockwell. She was a lovely lady who had her life tragically cut short in a car accident, much like fellow actress, Florence Labadie. 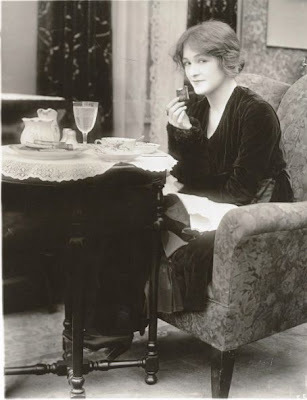 But unlike Florence, Gladys had a chance to make it to the talkies before her death. Gladys Brockwell was born Gladys Lindeman on September 26, 1893 in Brooklyn, New York. Her mother, Billie, was a former show girl and sometimes film actress, and she pushed Gladys on stage at an early age. 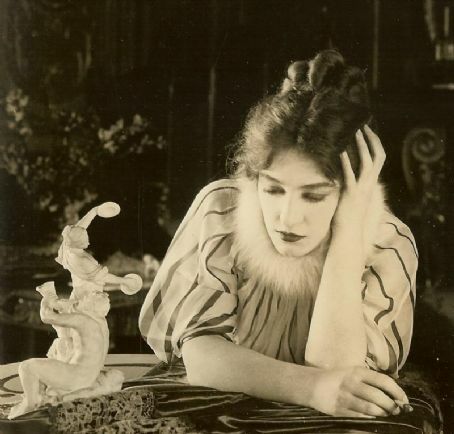 She made her film debut in 1913, and began using the stage name of Gladys Brockwell. She appeared in various shorts over on the East Coast before moving over to California where the action was starting to relocate. Gladys appeared in the 1923 version of The Hunchback of Notre Dame with Lon Chaney. I had to include that because I am going to see the film later in October at the Redford Theatre. I didn't know she was in it, and so I am even more geeked now to see it! Yayyyy!!! 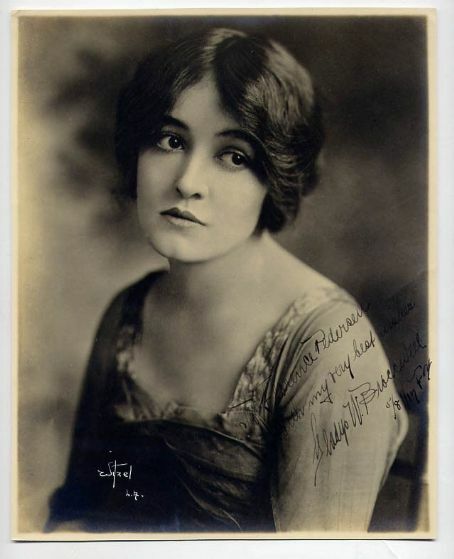 Gladys never got to reach the stardom heights of other actresses like Pickford or Gish, but she appeared in a good amount of films. But, but by the middle of the 1920s when flappers and vamps were the big draw, Gladys was 30 something, and studios weren't interested in a girl who was "past her prime." Good to know the same asinine mindset isn't a new thing in Hollywood! Now, she did make it in the business long enough to appear in talkies, and she actually did a good job in them...according to critics both then and now. Warner Brothers liked what they saw AND heard and they were lining up scripts for Gladys to look over. Sadly, on June 27, 1929 Gladys was involved in a car accident while driving with her friend, Thomas Brennan. Gladys was crushed underneath the car, but miraculously didn't die at the scene. She died a few days on July 2nd of peritonitis. She was 35 years old. She was cremated, but not sure if she was interred at a cemetery of if a family member was given her ashes. Thomas Brennan claimed he had gotten something stuck in his eye which blinded him, hence the crash. He did sustain injuries, but he survived the accident. Her last film, The Drake Case was released after her death in September of 1929. Gladys was apparently married twice. First to director, Robert Broadwell and second to yet another director, Harry Edwards in 1918. The marriage was annulled the next year in 1919. 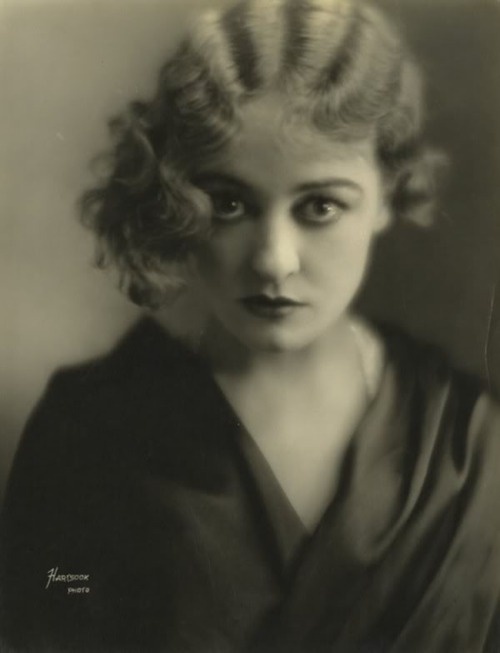 I had to stop by and read about Gladys, who is my absolute favorite girl of the silent era. I didn't know about her marriages, thank you for the information! I owned and lived on a 45' boat in Marina del Rey named "Miss Gladys". I never thought much of the name until I found a signed picture of Gladys Brockwell that was torn out of a magazine or book . I found the photo underneath a drawer in one of the staterooms. THAT is one of the coolest things I have read. How amazing that someone still remembered Gladys after all this time? !